But definitely one thing is in my mind and maybe yours, cuddle up and get something to warm you up. Yes! 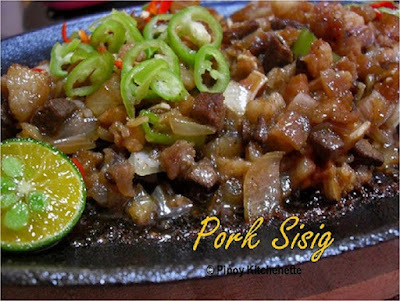 This is something nice to pair with my irresistible, mouthwatering Pork Sisig. Definitely irresistible, though fatty and high caloric it may be. Just this once, please! Lol! Sisig is another delicious Filipino delicacy. 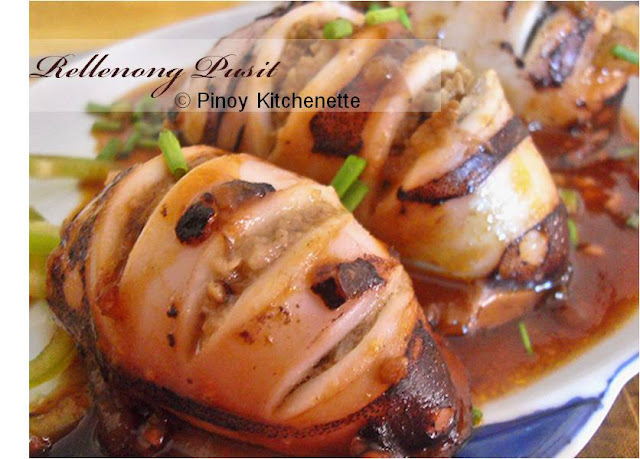 Originally from Pampanga and a favorite to many, even to the picky taste of non-filipinos. Once tried, this is what you'll hear them say ----> "Oh,wow! Delicious!" In a pot, cover pork ears and liempo with enough water. Add bay leaf, about 1/2 tsp salt and dash of pepper. Let boil. Cook until tender. This will take about 30 to 45 minutes. When done, remove pork from water. Set aside. Let cool. 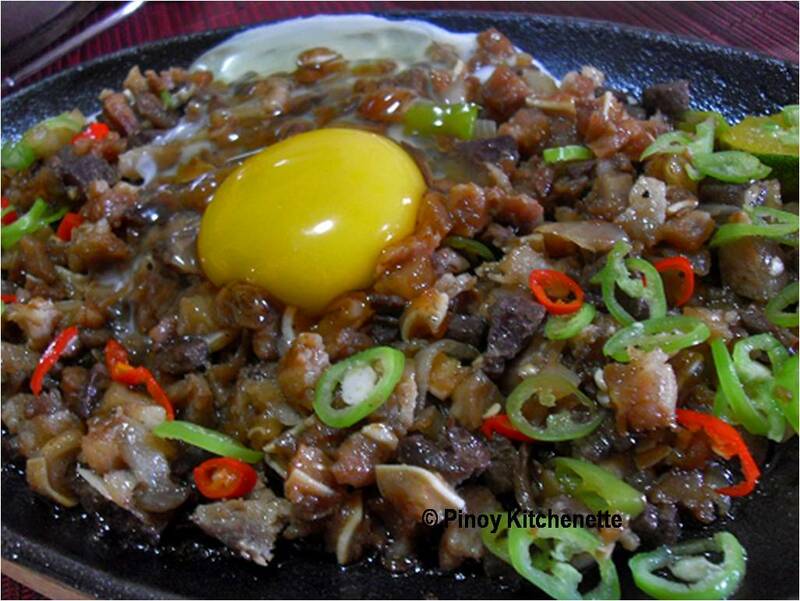 Chop pork ears and liempo into small pieces. Squeeze in about 3-4 calamansi juice. Add a dash of black pepper, 2-3 tbsp of soy sauce. Mix well. Set aside. In a pan, heat about 1 tbsp of oil, add onions. Add chopped liver. 1 tsp soy sauce. cook for about 5 minutes. Add chopped pork ears and liempo. Stir well. season with salt and pepper. Add half portion of chilis. To serve, heat sizzling plate. Brush with butter, scoop in about 2 cups of pork mixture. Add chilis, a teaspoon of mayonaise. Add egg. Serve. Enjoy it sizzling hot! 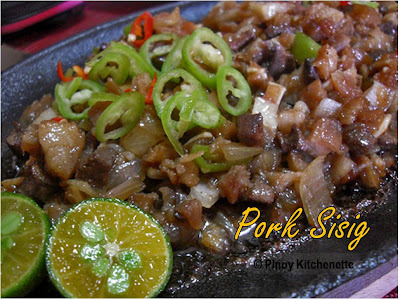 For proper use of sizzling plate, click here . Thanks Ray! Happy weekend! cheers! !